consumption to be sustainable and greenhouse gas emissions to be near zero. zero emissions and a circular economy society. 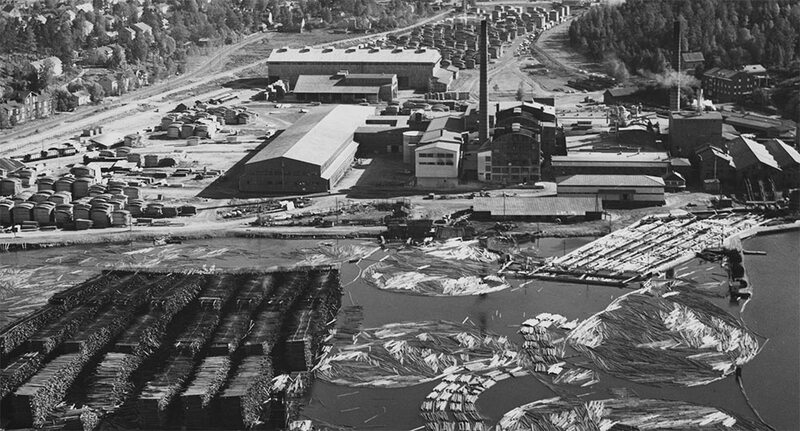 The story of Lahti is strongly linked to Finland’s development: An era of rapid growth and urbanisation that placed a burden on the environment continued until the 1970s. After the collapse of industry and jobs in the 1990s, the City of Lahti invested in water conservation and related environmental sector training and research. The transformation of the industrial structure and the city’s strategic solutions spawned environmentally friendly businesses where resources are used wisely. Lahti has not had exceptionally large resources at its disposal; instead, we have shared a vision that has driven the city forward in different decades. 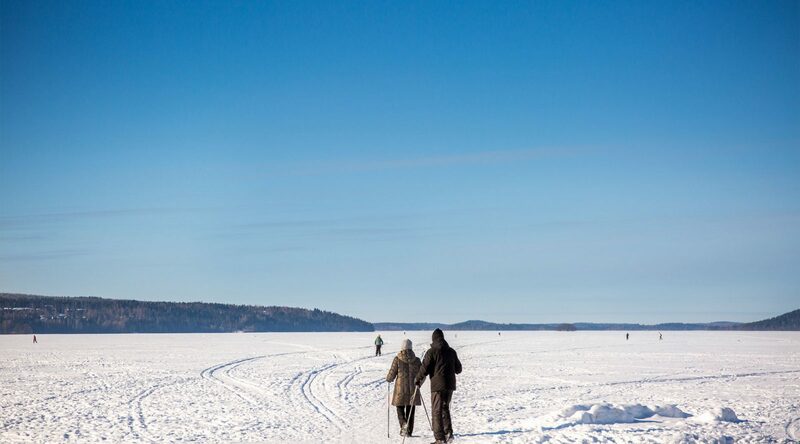 Turning Lake Vesijärvi, which was heavily polluted by industrial emissions, into a globally interesting example of what a city, university researchers and residents can achieve through active cooperation. Thanks to the long-term development of waste management, 97% of household waste is recovered. Following the depression of the 1990s, heavy industry has been replaced by environmental technology and circular economy business, which currently account for 8% of all jobs in Lahti. We have abandoned coal use, despite the fact that we are a Nordic city with a cold climate and no energy sources of our own. Sustainable urban planning has increased the number of residents in the centre of Lahti by 50% compared to the 1990s. Our continuous master planning process and model for land use planning are innovative and nationally unique. We upgraded our public transportation in 2014, introducing a bus fleet with the lowest emissions in Finland. Lahti’s vision today is to be a bold green city on a global scale. Currently, one of the greatest environmental challenges is increased traffic. Our largest investments in recent years have been made with the ease of traffic and mobility of people in mind: the Market Square car park, Travel Centre and public transportation reform are key elements of a well-designed city. Lahti’s central location in southern Finland is optimal from the point of view of new residents, enterprises and international investments. Lahti is competing for the European Green Capital 2021 award. 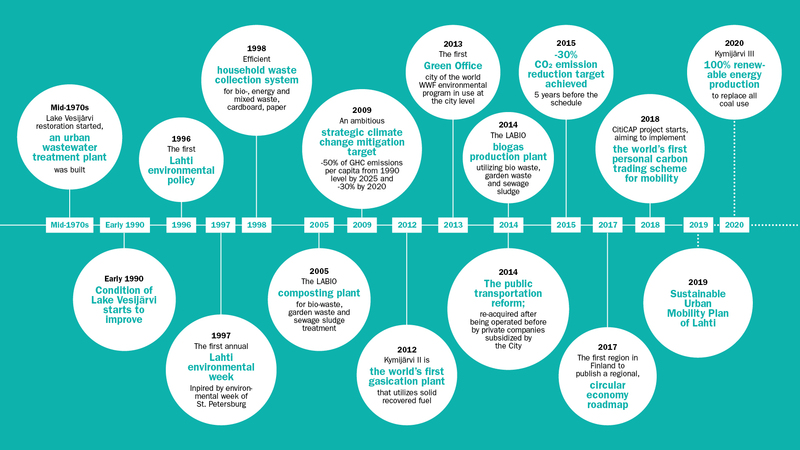 We have set ambitious but achievable environmental targets. The entire city corporation, citizens and local companies are involved in this work. We make cycling, walking and public transportation attractive and feasible through personal emissions trading. This also reduces the need to use a private car. Sustainable urban planning promotes denser, more energy-efficient and zero-emission modes of living close to good public transportation links. Distances of under 5 km travelled by car account for less than half of all journeys within the city. The decrease in motoring has improved the air quality, reduced carbon dioxide emissions and lowered noise levels. All of this contributes to increased well-being for residents. We will move to a zero-waste circular economy. We will halve our greenhouse gas emissions and become a climate-neutral city. In energy production, we will transfer to 100% renewable energy sources and energy self-sufficiency. The industrial symbioses piloted at the Kujala waste management centre in Lahti will become the standard in the cleantech sector. The cluster of environmental expertise and businesses situated in Lahti – one of the most significant in the Nordic countries – will strengthen further. 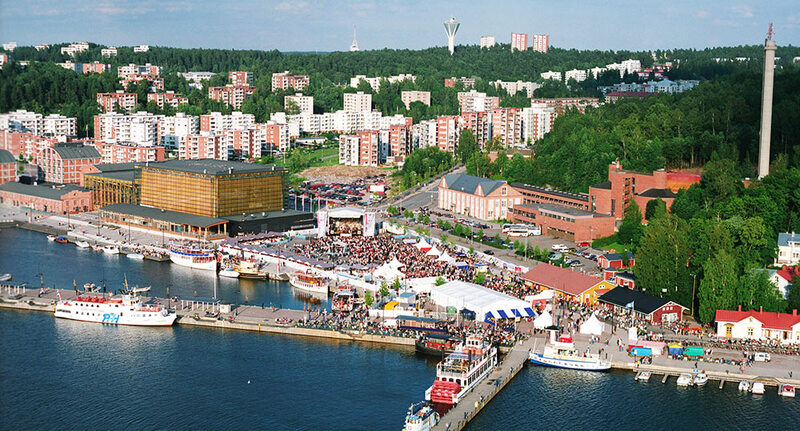 Lahti will be known as a home town of top environmental sector events. 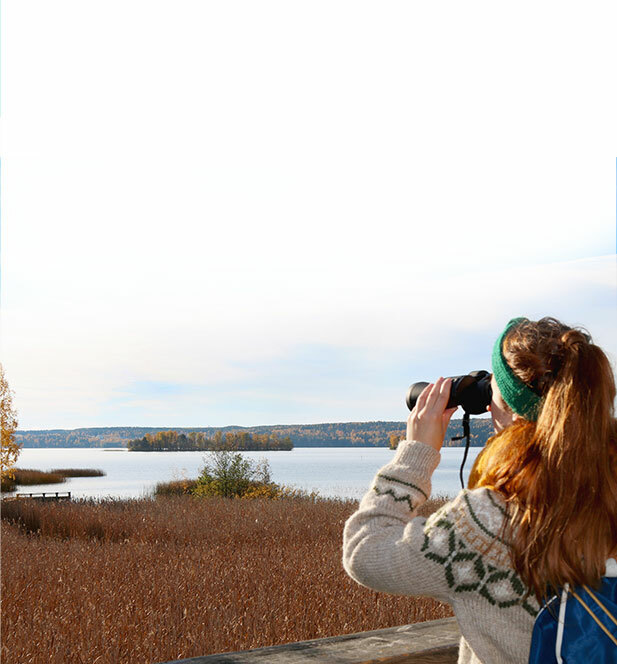 We protect nature, look after our rivers and lakes as well as promote sustainable tourism. The sustainable recreational use of the city’s blue and green areas is increasing. 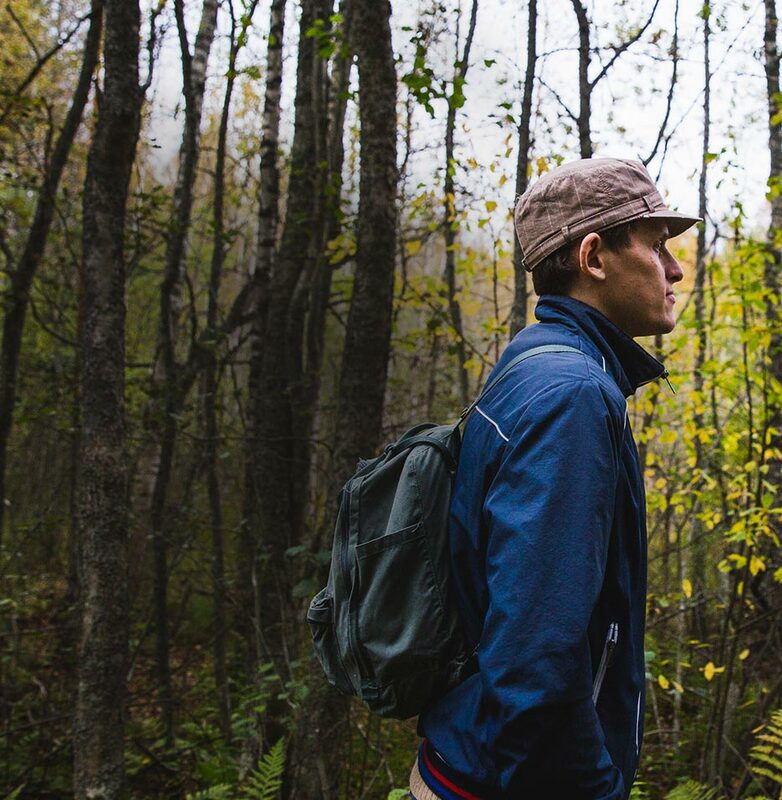 Nature conservation areas are a key contributor to well-being and a tourism asset. The number of conservation areas is on the rise and biodiversity is being maintained. The ecological status of all of the city’s water bodies is good. 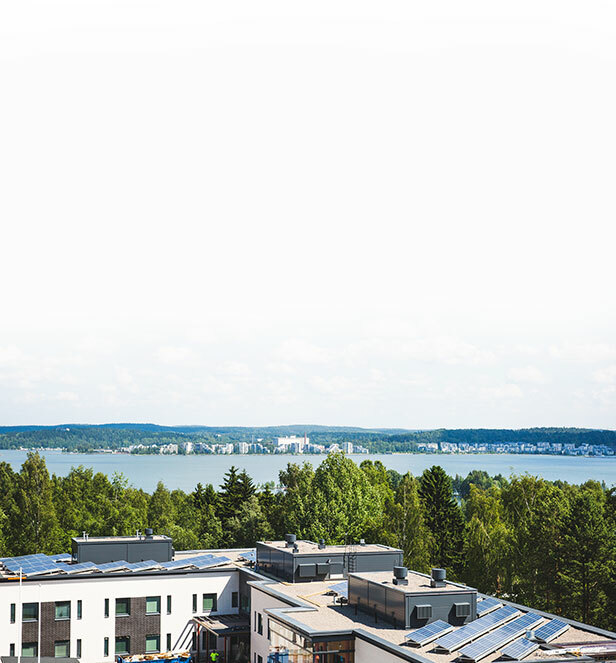 Lahti provides an internationally unique experimental environment for sustainable mobility and investments. The CitiCAP (Citizens’ cap-and-trade co-created) project will make Lahti the first city in the world to plan and implement personal carbon trading scheme (PCT) for citizens. Carbon credits will be traded using a mobile application that can detect the different travel modes. At least 1,300 citizens will be recruited as test users for the PCT app. Testing of the app and the mobility data platform related to it will begin in 2019. 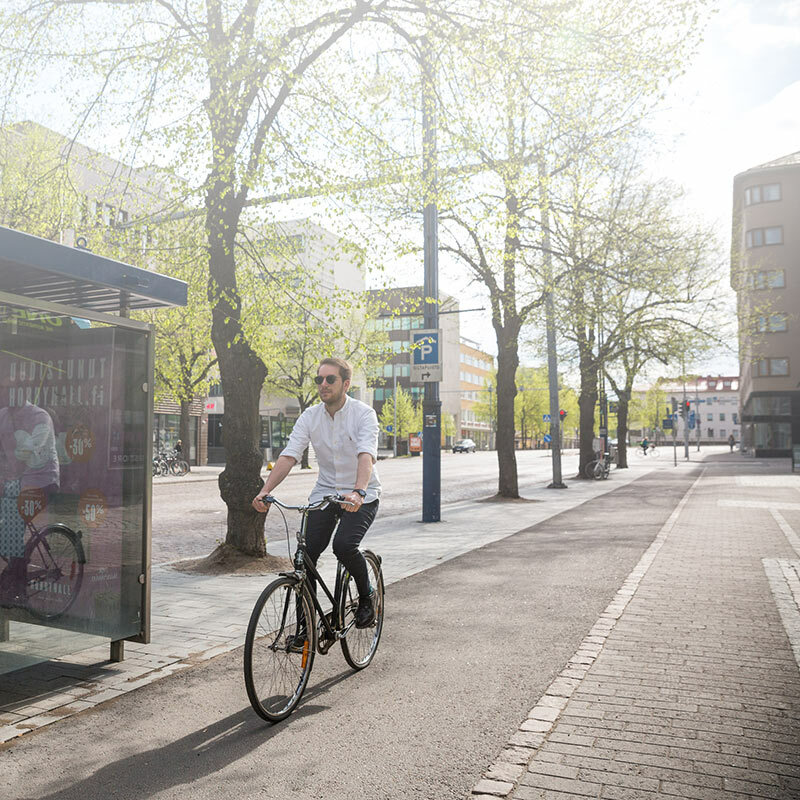 A smart bicycle highway that will function as a test bed for various smart solutions and other services promoting sustainable mobility will be built in Lahti. The main smart bicycle route will connect Apilakatu with the Lahti Travel Centre. CitiCAP supports preparation of the Sustainable Urban Mobility Plan (SUMP) for the City based on the EU-framework. The SUMP work feeds into the overall aim of Lahti: to develop an international example of the master planning process, which integrates land use and mobility plan into a whole. Citizens will be involved in car­rying out the project right from the start. 0ne of the basic re­quirements of CitiCAP will be to collect comprehensive data on people’s mobility choices. Data collected on mobility in the city will be made available to com­panies and other partners. The project will continue until the end of 2020.